A Larne man is hoping for local support of a charity concert later this year involving top soloist Peter Corry. Mitch Bresland has been the senior staff officer with charity Decorum NI, which assists ex-servicemen and women and their families. 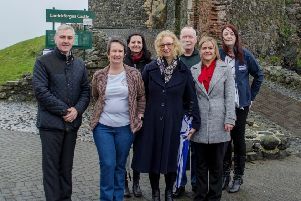 The charity headquarters is in Bangor, with members of the group including a number from Larne and Carrickfergus. A musical evening in aid of the group is being held on October 20 and will also include the PSNI Ladies Choir, PSNI Male Voice Choir and Festival Brass.